University of Houston Libraries and the UH Office of the Provost celebrated the accomplishments of newly promoted and tenured faculty and librarians at a reception this month. The UH Promotion and Tenure Recognition Program was created to honor faculty and librarians who have recently been promoted or achieved tenure. 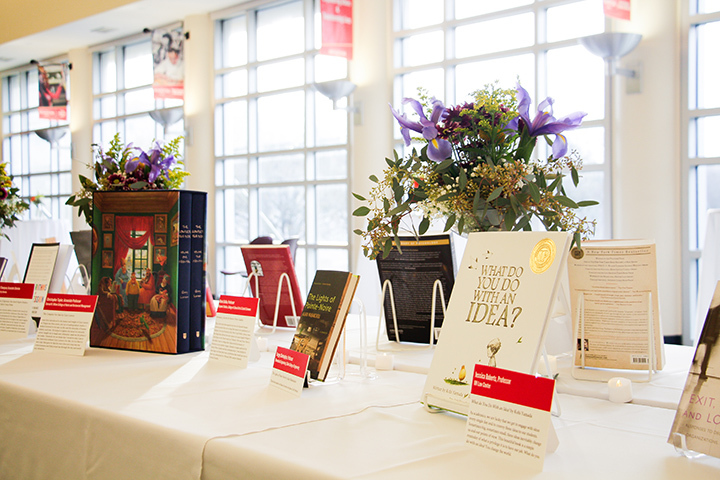 Now in its fourth year, the program invited honorees to select a book that has offered inspiration or encouragement in their professional journey. Book selections were added to the Libraries catalog and book-plated, serving as an enduring tribute to the pursuit of excellence in service, scholarship and learning. View 2018 honorees and their book selections in the Promotion and Tenure Recognition Program online exhibit.